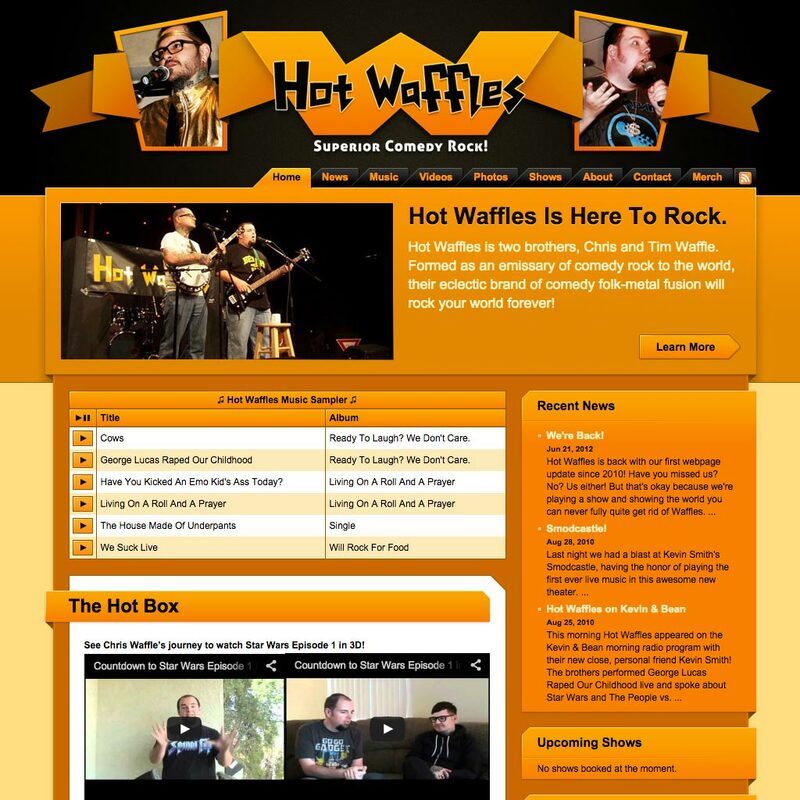 Orange County, CA comedy band Hot Waffles needed a website redesign on a tight deadline. 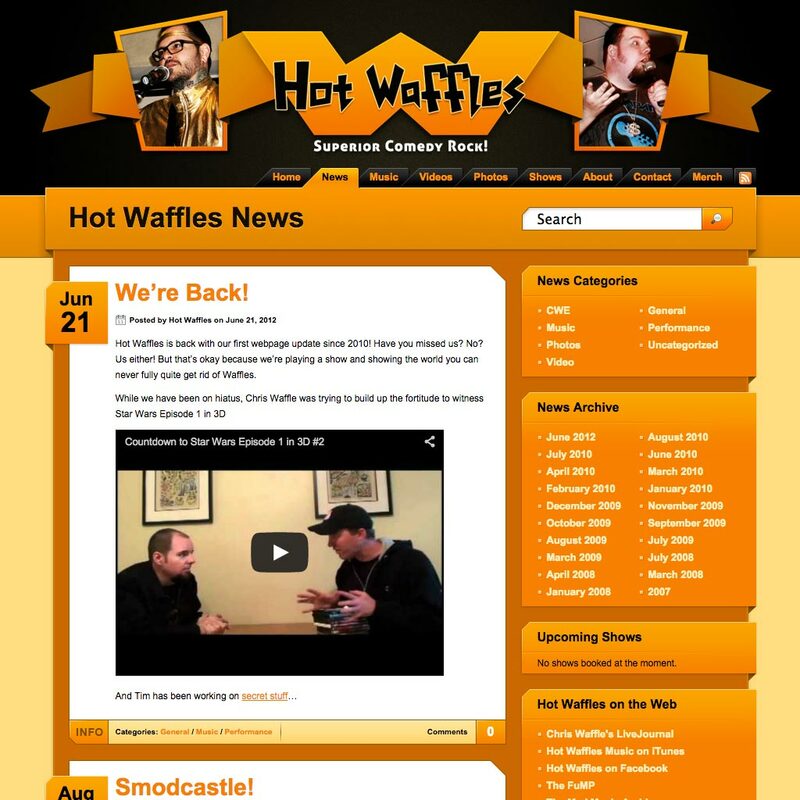 I worked with them to deliver a WordPress-based site that allows them to easily update content. The site also features a custom streaming music player. I desperately needed an upgrade to my old website but I only had some vague ideas of what I was looking for. Jared was able to create a website for me that looked great, had all of the functionality I needed and completed it in a very short time frame before my deadline. Jared was easy to work with, very communicative, and he exceeded my expectations with every suggestion I made. I would definitely use Jared again for any future web project.